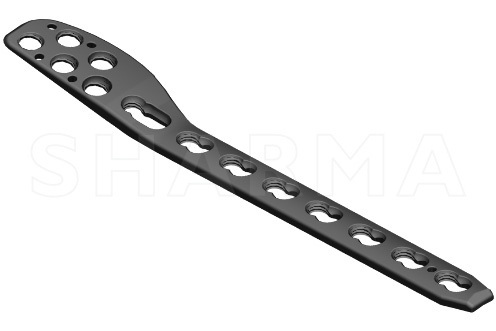 Sharma Orthopedic - Offering Fibula Lateral Distal Locked Plate (left & Right) in Vadodara, Gujarat. LCP Posterolateral Distal Fibula Plate. Screw profiles in coaxial hole.